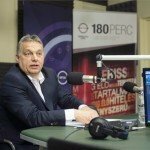 Budapest, December 4 (MTI) – It would be “unacceptable” were Hungarians to be deprived of free movement within the European Union, the prime minister said in a radio interview on Friday. Viktor Orban told public broadcaster Kossuth Radio that several EU countries — mainly the founders — wanted to separate themselves from central and eastern European countries, from where migrants are entering the bloc. “Any kind of move that would deprive Hungarians of the possibility of free movement would be completely unacceptable from Hungary’s point of view, since we are the only member of the Schengen zone which genuinely protects Schengen… ” he said. He noted that countries of the Visegrad Group (Czech Rep, Poland, Hungary and Slovakia) had agreed in Prague on Thursday to work together to protect their own freedoms, and for this reason they have set up a “Friends of Schengen” circle. In connection with Hungary’s decision to sue the European Commission due to its objections to mandatory migrant quotas, the prime minister said the move was not symbolic but substantive. In court “we want to put aside” the decision on quotas which Hungary regards as contrary to EU law, he said. “Brussels cannot tell us whom to live with,” Orban added. Political actors in the world must work to make sure that whoever leaves their homelands is returned to where they belong, he said. This is why it is important to settle the situation in Syria so that everyone from there can be returned. “We must start rebuilding that world,” he said. Orban insisted that the agreement the EU struck with Turkey was logically flawed. 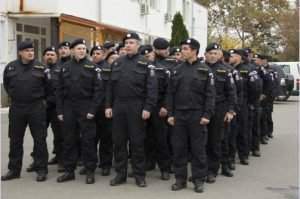 Whereas Hungary supports the deal with Turkey it believes a vitally important precondition should be Europe’s ability to protect its own borders. “We cannot beg for security,” he said. At the same time, it would not be wise for Hungary to veto the EU-Turkey pact, he added. But no kind of agreement should come about whereby hundreds of thousands of migrants are transported to Europe, involving the forced distribution of those migrants among EU member states, he insisted. “There was such an idea, and a brake must be put on this idea — and I think it has been taken off the agenda — but new attempts to reintroduce are constantly being made,” the prime minister said. 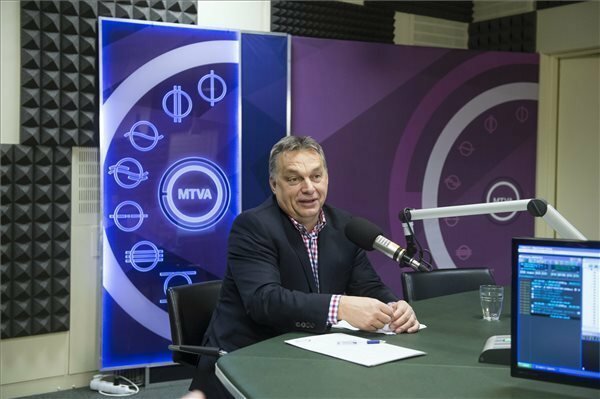 Speaking about the registration of a European citizens’ initiative to trigger Article 7 against Hungary, Orban said this was “revenge” and concerned Hungary’s handling of the “mass migration”. 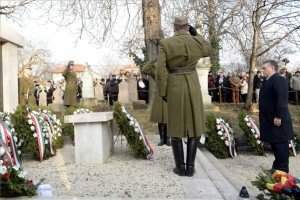 “There are leaders, business circles, human rights activists, who are angry with the Hungarians for confronting their ideologies and proving that it really is possible to protect this continent in a democratic way and taking to account the will of European people,” he said, adding that Hungary would defend itself from this act of revenge which had been organised by foundations and activists supported by Hungarian-born financier George Soros and European bureaucrats in Brussels, as well as left-liberal European leaders who think that “nations are bad”. Hungary’s view is that “without nations there is no Europe”. The prime minister argued that a gap is emerging between European people and the will of leaders, and this posed a problem for democracy. “You cannot go against the people,” he said. Instead of the liberal era, there should be a democratic one in Europe, he added. Meanwhile, he said Hungary must weigh the impact on domestic companies of free trade agreements the United States has signed with trading partners in Asia before forming an opinion on the TTIP pact. 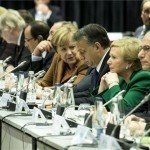 Commenting on the US-EU talks on the Transatlantic Trade and Investment Partnership (TTIP), Orban said free trade agreements the US had reached with Asian countries in the meantime would “impact the international competitiveness of Hungarian companies”. “We must assess whether these agreements present an advantage or a disadvantage to Hungary because this could influence our position on TTIP,” he added. Orban is right! The countries of western Europe were and are not concerned about Central Europe, or southern Europe for that matter. Let me re-phrase that. 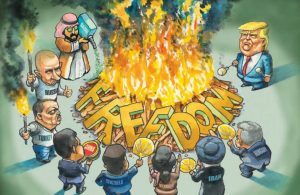 They are only concerned if they can make themselves wealthier and show contempt for the Central and Southern countries. The Visegrad 4 should add more members and avoid deals with the wealthy peons in Belgium France and Germany.